Do you need a stylish storage solution to keep your shoes organized? 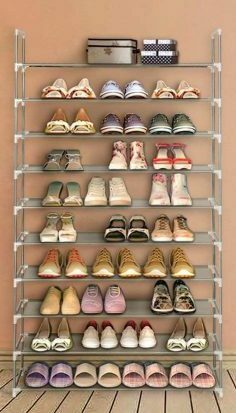 You can achieve this with the best shoe racks available on the market to buy. Stop trying to find a matching pair of shoes and create some order in the hallway. Whether you need a shoe storage cabinet to fit in the bedroom or a hallway bench or a simple shoe storage box you can find one here. You will quickly cut down on the clutter and give your shoes a proper home they deserve. For a more affordable solution to keep your shoes organized you need the shoe rack that hangs over the door. The holder has a mesh construction and holds up to 12 pairs of men’s or woman shoes. The nice thing about the MISSLO is that it provides enough airflow to keep the footwear odor free. You can easily fit one pair of sandals in each pocket. No matter what your shoe racks needs are, the UNJUMBLY has an over the door design and suitable to use inside the cupboard as well. The color is rich and the pockets are deep enough to hold men’s and woman’s shoes. The affordable price makes it possible for you to buy more than one to keep different items in one place. The installation is stress-free with the over door hooks. You can place 12 pairs of shoes in it or use one pocket for your flats or sandals. Do you need stylish shoe racks to place inside your closet? The WHITMOR is a cheap option that is easy to put together and stores loads of shoes. Purchasing more than one allows you to stack them easily and frees up loads of space in your wardrobe. The rack can be a bit wobbly, but you can fix them to the inside of the cupboard. 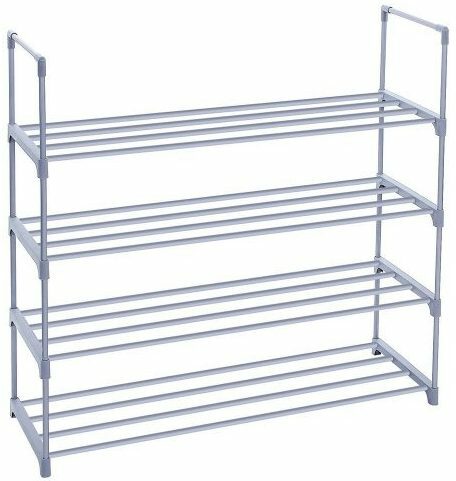 The shoe rack is huge and easy to put together. The weightless design makes it ideal to move and you can fit your super high heels and boots on it. Cleaning the stand is easy and it fits into the back of your closet. Now you can keep your footwear organized instead of leaving shoes lying around. Here we have something different if you need a shoe rack. The Lavish Home is a storage bench or shoe holder. The rustic style looks perfect anywhere and has a multi-functional design with a three-tier space saver to hold 9 pairs of shoes. 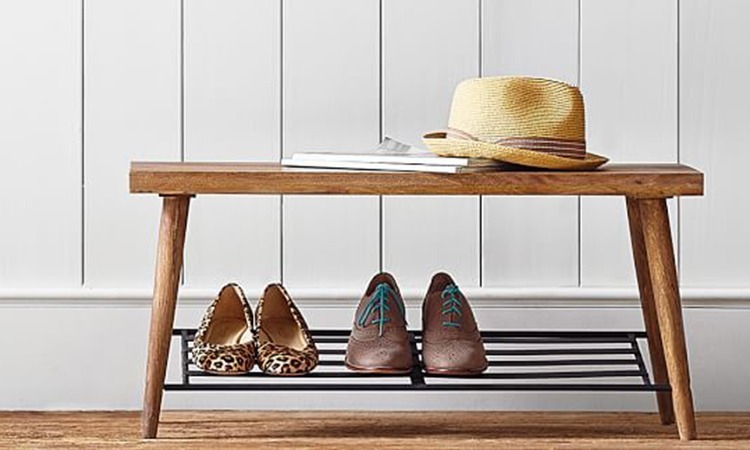 For the entryway, this is ideal and you can use it for more than keeping footwear neat & tidy. Assembling the frame is easy and snaps together. 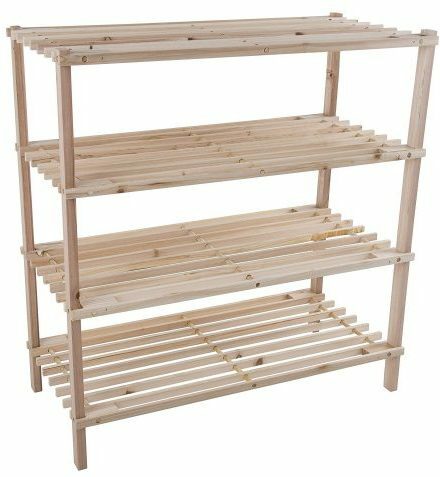 For an excellent storage on a budget, you need this shoe tower rack from SONGMICS. You can adjust the shelves to suit your needs and assembly is a breeze. The shelves have a plastic laminated sheet and may not look sturdy but hold up well. You can keep your scarves, purses, and shoes on this 10-tier rack. The only thing you do need to take care with is the brackets made of plastic and can crack easily. With HARRA HOME, you can double your storage space. The products well made and has a sturdy design that snaps together. There are small nubs that prevent the footwear from slipping and fit well on the stacker. You get three height options to fit from boots to high heels. To add an even better touch when purchasing the product is that you receive the instructions in the package and they even email it to you. With the stackable shoe rack from Seville Classics, you will have your footwear organized in no time. 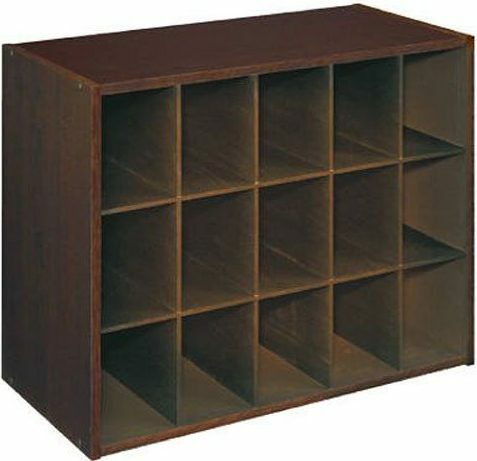 With the dark wood color, it fits in with any home décor and folds flat for ease of storage. You can fit up to 9 pairs of shoes per unit and the feet adjust to a perfect height according to your needs. The shelves are level and additional tiers are available to buy. You can easily customize your space with the ClosetMaid shoe rack. The 15-tier unit is suitable for any home or apartment to use. The products well built and offer you loads of extra space in the closet. They stack perfectly in a vertical or horizontal way and all the hardware is included to keep it stable to the wall. The LANGRIA shoe storage rack snaps together and looks great. The panels consist of plastic and it has a steel frame. You get a functional storage space that has 18 frosted translucent cubes to keep your footwear. You can use the cubes together or use them separately to make the stand customizable. Putting the shoe rack together is a breeze and attaches with plastic connectors. Now there is no more need of rushing around to find the right pair of shoes. With the best shoe rack, you can keep your footwear organized and the best of all they are versatile to use with more than just shoes. Some of them hang over the door while others you can use in or out of the closet. Get your shoe storage rack today and free up some space in your home. Stop fiddling around in your closet for a pair of shoes to wear. 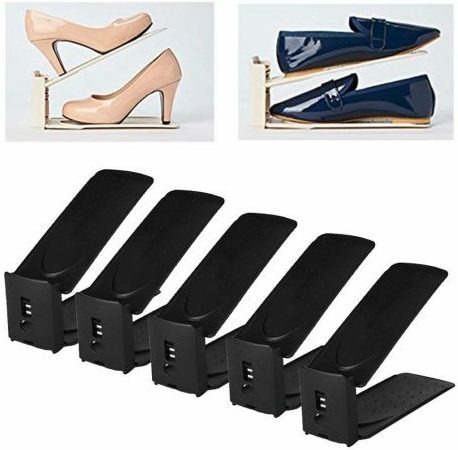 With the best shoe rack reviewed here, you can find a suitable solution to solve this daily problem. 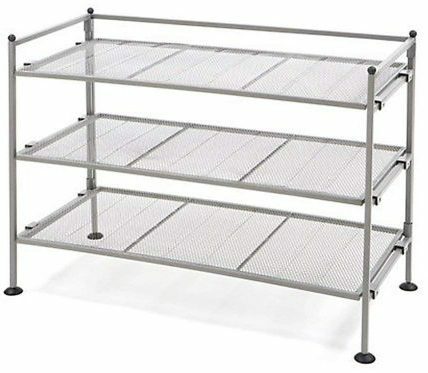 Each shoe storage rack offers you versatility, durability, and looks great.